Retirement is a phase in life that should be joyfully anticipated - not feared. Unfortunately, many pre-retirees spend the final years of their career worrying about whether their decades of hard work will be enough. 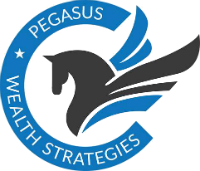 Pegasus Wealth Strategies helps individuals plan for and manage retirement while managing the fear of outliving their resources. We understand the complexities of retirement, and are well-versed in assisting high net worth families and executives in navigating this complicated stage of life. Helping individuals strategize so they may pay less in taxes, and have confidence in not outliving their assets. Whether you need assistance potentially optimizing your current portfolio, require an estate plan, or are interested in sophisticated tax saving strategies, our firm can help. If you are just beginning your career or are approaching retirement age and are unprepared, we are available for you with the professional guidance of Pegasus Wealth Strategies. We can help you in all areas of your wealth management needs, with plenty of resources to pursue your dream retirement.